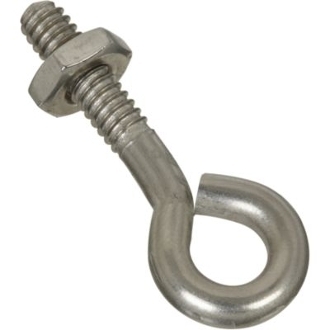 This standard eyebolt from National Hardware is designed for industrial and home applications and comes complete with a hex nut. Especially for use with marine or other outdoor applications where corrosion resistance is desired. With over a century of service National Hardware is committed to maintaining the highest level of product quality, innovation and manufacturing technology.